Proctor/Hermantown has been a perennial contender in Section 7, Cloquet-Esko-Carlton has not. But this season, the Lumberjacks, ranked No. 8 in the Class 1A state coaches’ poll from Jan. 16, have five wins against section opponents, proving the Lumberjacks are in the mix to compete for a section crown. Cloquet-Esko-Carlton (15-5-0, 2-1-0) junior Taylor Nelson has helped drive that success with 27 goals, including three straight hat tricks in wins over Duluth (4-1 on Jan. 3), Hayward Co-Op (6-1 on Jan. 5) and Superior (7-0 on Jan. 8). 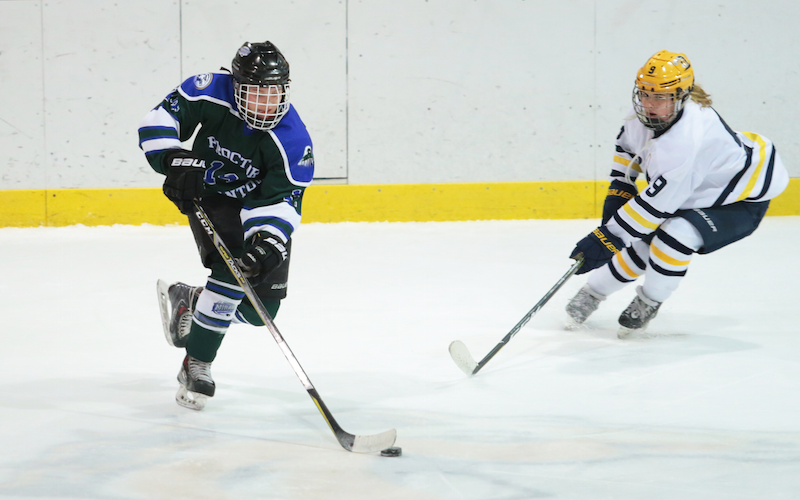 A season ago, Proctor/Hermantown swept through Section 7 on its way to the state tournament. After winning its first game in the Class 1A tournament, the Miracle were defeated by eventual state champion Breck. This year, if No. 5-1A Proctor/Hermantown wants to repeat, it will have plenty of contenders to battle. So far, it’s beaten Hibbing/Chisholm twice (5-1 on Nov. 20 and 3-2 on Jan. 17), Eveleth-Gilbert (5-0 on Dec. 11) and No. 10-1A Duluth Marshall (4-3 on Nov. 27). The Mirage have won five of their past six games, and the offense has helped get that done. Sophomore Alyssa Watkins has been a big part of that attack, scoring 19 goals in 23 games this season.